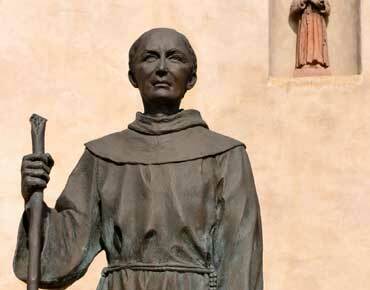 Father Serra was a Spanish monk who started the Catholic chain of missions in California. Serra was born in 1713, and he died in 1784. He is buried under the sanctuary floor at Mission San Carlos Borromeo. 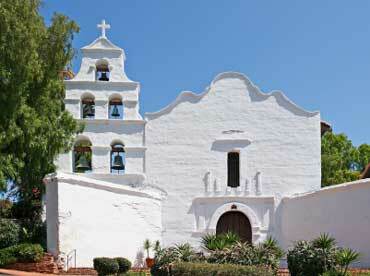 Mission San Diego de Alcala was the first mission in California. 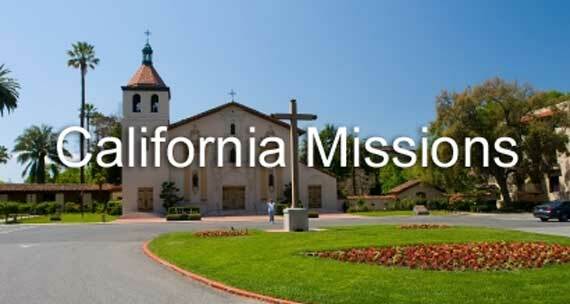 It was founded by Father Serra in 1769. Mission Indians grew wheat, corn, wine grapes, barley, and beans in the mission gardens. They also raised cows, horses, and sheep. Copyrights to the pictures and photos on this California Missions lesson belong to individual photographers. We have purchased the rights to use them. Do not copy the images on this ESL website. You may print any of the worksheets for classroom use or home study. You may link to any page of this website. Contact Christina Niven, ESL teacher, at christina@elcivics.com. Please send corrections, comments, and requests for new state lessons or worksheets. Copyright © Christina Niven, 2007.